2 dolls and 16 costumes reprinted from rare original edition published by The Saalfield Publishing Company in 1937. 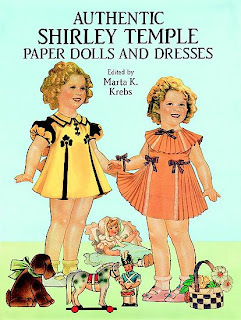 Also included are period playthings and accessories: toy horse and dog, hats, purses, toy soldier, as well as black-and-white photographs of Shirley wearing the original outfits. 33 full-color illustrations. Introduction.